Following the example of Dr Frankenstein, Tolifo's FT-16 combines the best of two products. Imitation is the sincerest form of flattery. So when Dongguan-based manufacturer Tolifo (also known as Fushitong) wanted to make a product with features like Godox, but styling like PocketWizard, they went for the most sincerely flattering approach they could. 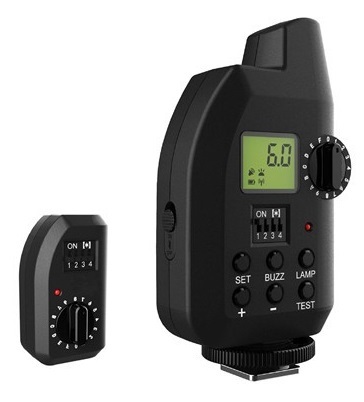 The result is the Tolifo FT-16, a wireless trigger and remote controller for the Chinese company’s EG-II-600A studio flash that combines all the functions of the Godox FT-16 with the appearance of the PocketWizard Plus III. I’m not sure if any of these actually exist in the wild or if it’s just a Photoshopped Frankenflash monstrosity. But the idea is that you use one of these to synchronise the flash with your camera, as well as adjusting power levels and modelling lamp settings. However, unlike the Godox 433 MHz system, which controls a range of lights, there are no other products in the Tolifo lineup that currently support their “FT-16” trigger. The EG-II-600A studio flash itself has no particularly distinguishing features, other than being styled like Christopher Nolan’s Batmobile and having a 20-watt LED modelling lamp. Find out more for yourself on Tolifo’s Alibaba page.